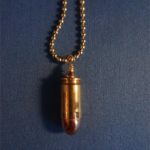 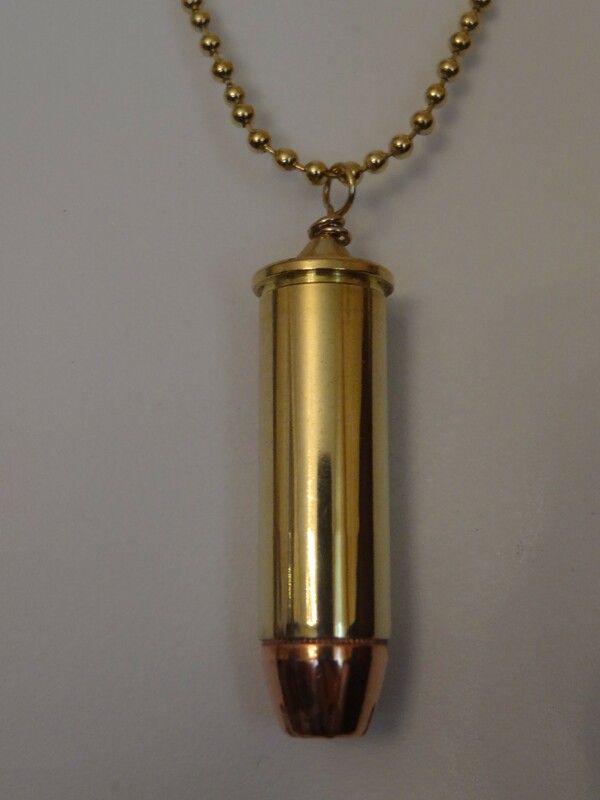 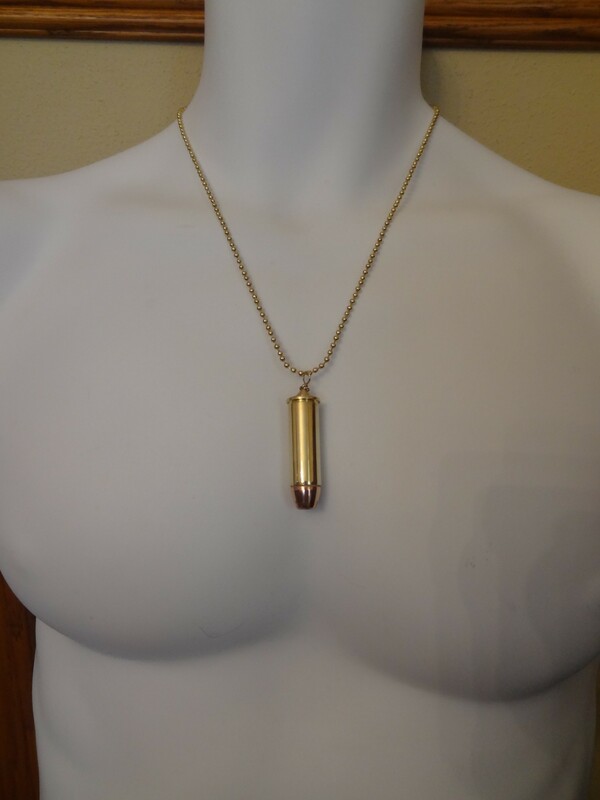 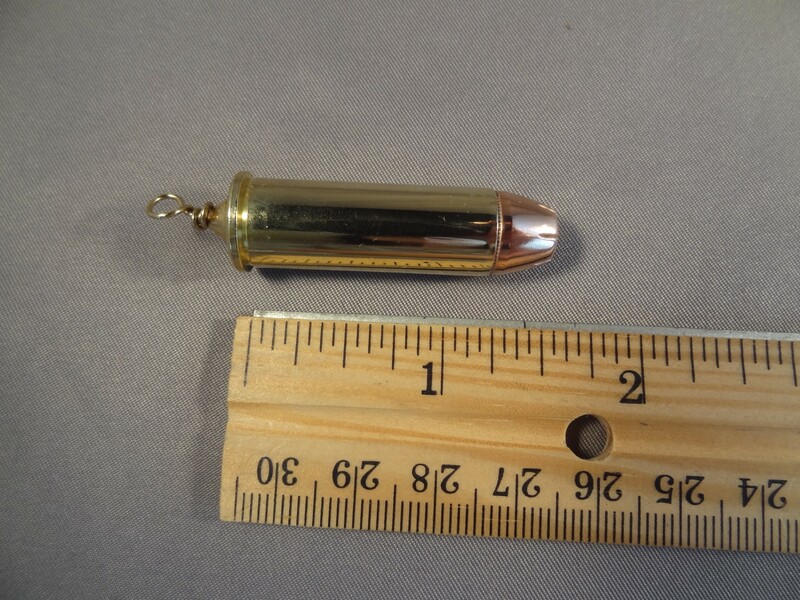 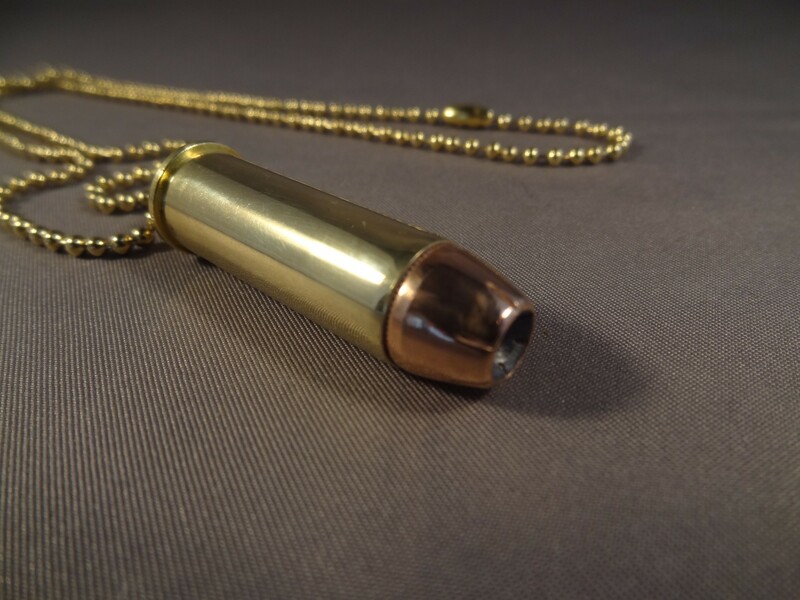 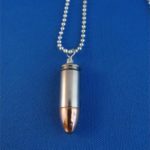 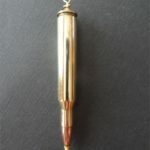 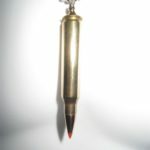 Features a .44 Magnum brass case that has been reseated with a hollow point bullet. 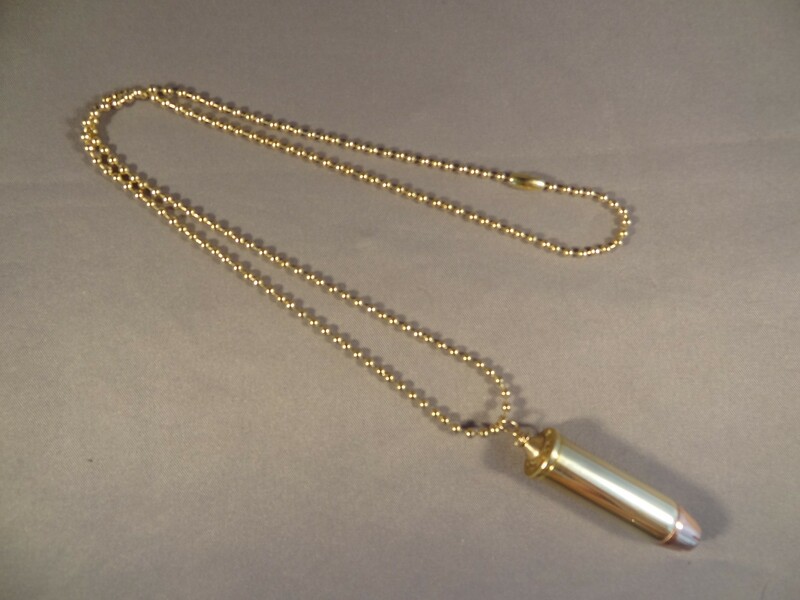 As pictured here, it comes on a 20″ silver colored ball chain. It is also available as a key chain or cartridge only.